Gabriel Alvarez is influenced by the colours of his native Mexico and personal experiences and subconscious thoughts. Born and raised in Mexico City he became a painter at an early age. He subsequently moved to London where he has now lived for almost 40 years.Gabriel trained with the distinguished Mexican artist Castro Pacheco in Mexico City and has been inspired and influenced by Tamayo, Appel, Kokoschka and Rothko. 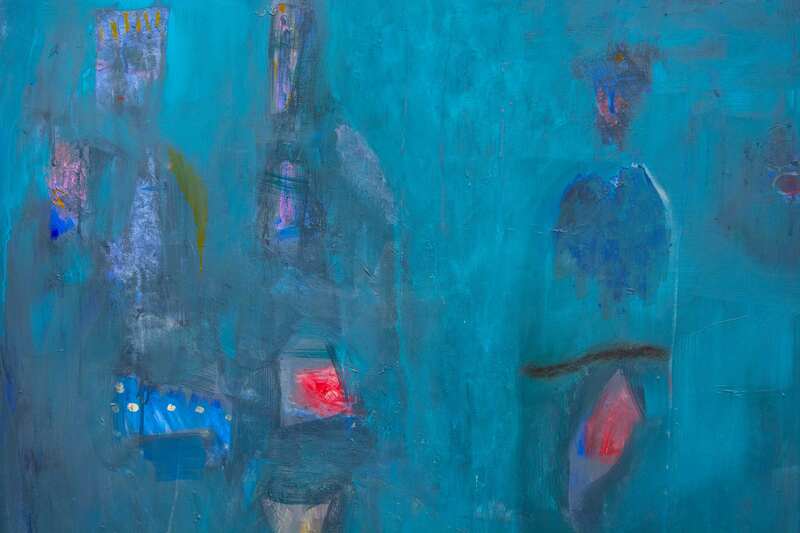 Throughout Gabriel's art career he has exhibited at many respected galleries, beginning in the Diffusion Cultural at the Autonomous University of Mexico where he first showcased his vibrant and emotive paintings. His first solo exhibition in London took place at Etty's Gallery in central London followed by another at Mary McGowan's, Leighton House and The Santa Fe Gallery amongst others. “Transition” marks his third exhibition at the Coningsby Gallery. Gabriel is a plastic surgeon with a busy private practice in Hertfordshire and London and a part time appointment in University College Hospital London. Gabriel insists he is an artist and not only a doctor that paints.Through the decades his paintings have reflected his desires, memories and dreams. His latest exhibition, “Transition” marks a new phase in his artwork, exploring darker avenues and styles with brooding colours and subtle figures.